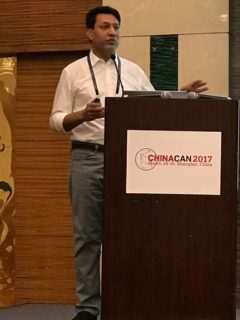 Speech by our Managing Director at LATAMCAN 2017 BRAZIL. 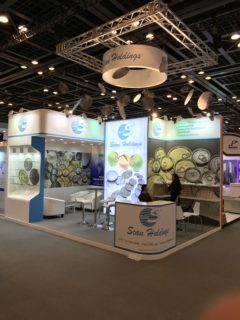 Successful participation at LATAMCAN 2017 BRAZIL. 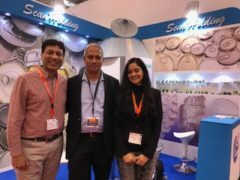 Scan Holdings had another successful participation at Metpack 2017 in Essen Fair Ground, Germany. The event once again allowed us to meet and thank our customers from all over the World. New partnerships were formed, which are sure to take the Company to greater heights. Scan Holdings had a successful participation in China Can conference from 28 March 2017 to 30 March 2017. Our Managing Director was pleased to present his views on the opportunities in Metal Packaging to the august audience from industry. LATAMCAN – Latin American Can makers Conference is the meeting point for Latin American can makers and the global suppliers of new technologies under one roof. 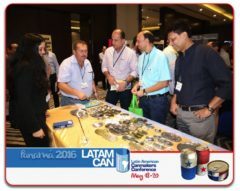 Scan Holdings had a successful participation in LATAMCAN 2016 in Panama. 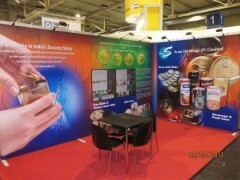 Scan Holdings had another succesful participation at Metpack 2011 in Germany. It was a time for meeting friends from all over the World and strengthening our win-win relationships. Scan Holdings successfully completed the entire legal process of acquiring approximately 44 acres (178,000 square metres) of prime industrial land in the state of Gujarat, India. Gujarat is the fastest growing industrial state in India. Its investor and industry friendly policies, world class infrastructure and dynamic leadership have made it a favoured destination in Asia Pacific region. It boasts of several sea-ports on its 1600 km coast line that facilitate import and export of raw materials and finished goods. Scan Holdings plans to build several packaging factories on this land over next few years. 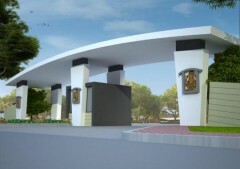 These factories are aimed at providing world class packaging to the food, beverage and other industries in the region. It will further encourage large multinationals to invest into India, who have been hesitating so far due to lack of availability of right packaging for their products. Surely, a forward looking step which will not just help Scan Holdings, but revolutionise the whole industry in coming years. NEW DELHI: The Supreme Court today ordered a ban on the sale of tobacco products like gutkha and pan masala in plastic pouches from March 2011, while asking the government to conduct a survey on the ill effects of these products within eight weeks. A bench of justices G S Singhvi and A K Ganguly also asked the manufacturers to explore and decide by March next year on the alternative material for packaging them. The bench issued the directions while brushing aside the pleas of some of the gutkha manufacturers who feared that such a direction could lead to closure of thousands of gutkha and pan masala manufacturing units. “Let it come,” the bench quipped when counsel for one of the manufacturers claimed that the whole industry would come to a standstill. Cigarettes, which are generally sold in paper packs, are out of the ambit of this ban. While asking the government to conduct a survey on the ill effects of these tobacco products, the bench also asked it to examine the effects of packaging these products in plastics pouches over human health. The bench recorded an undertaking from Solicitor General Gopal Subramanium that the government would get the required survey done by the National Institute of Public Health on the harmful effects of gutkha, pan masala and other tobacco products and also the adverse effects, if any, of the plastic pouches used for packaging the material. The bench also directed the Centre to finalise and enforce within eight weeks the Plastic Management and Disposal Rules 2009. It ruled that despite the rules having been framed in 2009, the authorities are yet to enforce them. The bench passed the direction while adjudicating a petition by a civil society, which has approached the apex court challenging the alleged unbridled sale of gutkha and pan masala material in the country, seriously impinging upon public health. 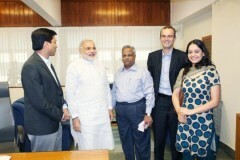 Scan Holdings’ management had the honour of hearing the Hon’ble Chief Minister of Gujarat, Mr. Narendra Modi’s views on packaging industry in one of our meetings with him. Mr. Modi who is hailed by the entire industry for making Gujarat the most investor friendly state in India was vocal about his concern for the environment. He appreciated the plans of Scan Holdings to start factories that produce environment friendly products. With his dynamic vision, he shared many ideas like using the 1600 km long coast line of Gujarat for boosting fisheries in the region, which would in turn give further push to the packaging industry.